(Urtica dioica) Nettles, or stinging nettles, are usually regarded as weeds when found in the garden. Their creeping roots can make them difficult to control. But they do have their uses! Nettles, stinging nettles or common nettles, are tough, perennial plants that grow in a wide range of soil and weather conditions. They quickly spread to form quite large clumps. They usually die down to their tough yellow roots in autumn and winter, but come back in spring year after year. Although regarded as a weed, they have several uses. Their flavour is similar to spinach, and young leaves can be cooked and eaten. They can also be used to make a cordial or even nettle beer. They are a common food source for several butterfly species and a small, well-maintained patch of nettles will help encourage these into your garden. 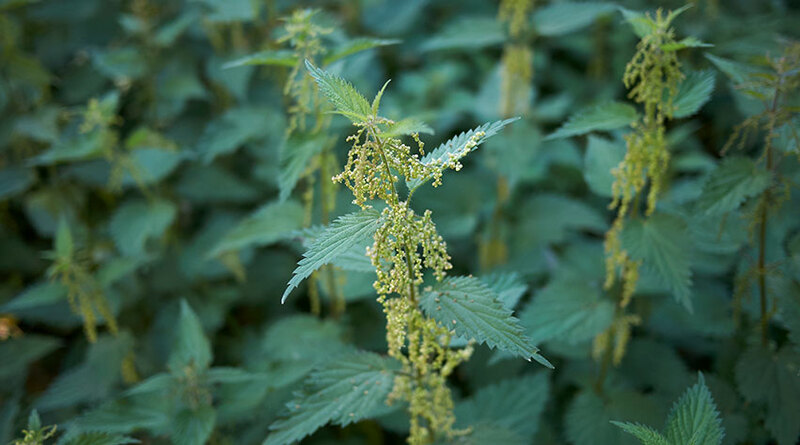 The presence of nettles can signify the soil is rich in nitrogen and phosphorous. The plants themselves contain high quantities of both nutrients, so you can add stems and leaves to the compost heap or steep them in water to make a liquid fertiliser. Nettles are tall-growing perennial plants, which can grow to 2.4m (8ft) high, and which spread below ground by rhizomes or across the surface by creeping stems, or stolons, to form dense clumps. The soft green leaves have strongly serrated margins. Both the leaves and stems are covered in numerous hairs that inject chemicals that produce a stinging sensation when touched – a defence mechanism against being eaten by herbivore animals. Plants produce numerous small, greenish or brownish flowers that then produce lots of seeds, which are distributed to infest new areas. As with most perennial weeds, never allow nettles to become established. This will make it more difficult to fully control them. Early eradication is important to stop them taking over the garden. Digging out the roots is one of the quickest – although not necessarily easiest – ways of getting rid of nettles. You will need to dig up and remove as much of the roots as possible. Covering bare soil with weed-control membrane (landscape fabric) or even thick black polythene will exclude light and may starve the roots, so they die. This can take a couple of years until the roots are completely exhausted. Hoe seedlings and young plants as soon as you see them. Regularly hoeing the new leaves of established plants as soon as they are seen may be possible to weaken the plant over time. 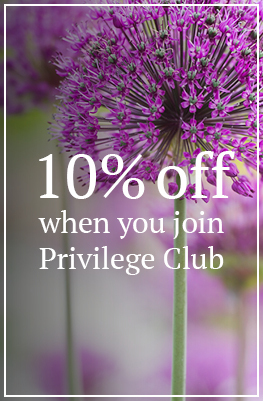 But this will probably take several years to completely kill plants – and needs lots of dedication. 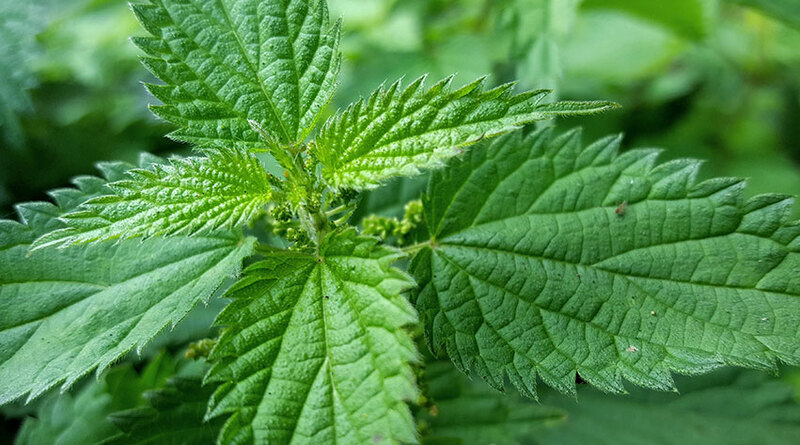 There are a number of weed control options available to treat nettles. In addition to traditional weedkillers there are now also a range of more natural alternatives. Contact weedkillers will burn and kill the foliage, but will have no effect on the roots, which will continue to grow, produce new leafy growth and spread further. Constant spraying whenever new leaves are produced will weaken and kill it in time. For best results, spray with a systemic weedkiller. A systemic weedkiller, which is absorbed by the leaves, then moves down to the roots to kill them. “Tough weed” formulations will give better control. Older, woody growth may not absorb the weedkiller as effectively as younger growth. In which case, for well-established clumps of nettles, cut down the plants to ground level and then treat the resulting new growth. Spray the leaves when the nettles are growing actively; this is mainly from March/April to September/October. One application of weedkiller may not completely kill the nettles. You may need to spray once, allow it to die down, and then spray any regrowth again. Three or more applications a year may be needed to completely kill it, depending on how extensive the root system is. Gel products, which is dabbed onto, and sticks to, the weed leaves, may be a better option when trying to treat nettles growing close to wanted plants, where drift of the spray would damage them. In lawns, use a good lawn weedkiller.